We all require a good supply of essential vitamins every day to maintain optimal health and vitality. Unfortunately, hectic schedules can often leave us pressed for time and eating "on the fly," where convenience trumps nutrition, leaving us lacking in many of the vitamins we need to keep us healthy. Try as we may, even the most health-conscious among us will occasionally fall short of our recommended vitamin intake, particularly for the water- soluble C and B-complex vitamins that aren't stored in the body and must be replaced every day. That's why, for most of us, taking a quality daily multivitamin as a sort of nutritional "insurance policy" to cover the gaps in our diet just makes sense. That's what our new Daily Multivitamin without Minerals is for. 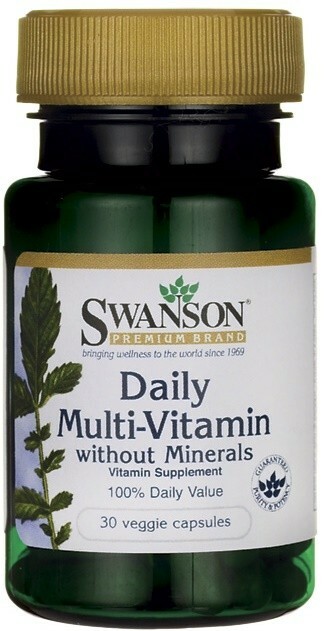 Daily Multivitamin without Minerals delivers 100% of the daily value for 13 essential vitamins so you can be sure that your basic nutritional needs are met, even when your diet is less than ideal. You get the antioxidant protection of vitamins C and E, the bone support of vitamins D and K and the energizing cardiovascular and central nervous system support of the B-complex vitamins in just one easy-to-take veggie capsule.